So, Blood Bond is a piece (a novella? A novelette?) that I’ve been fiddling with for a long time. I don’t think I can sell it–it’s a bit on the old fashioned side and long. But, maybe you might enjoy it. I know I do. Click here to read Blood Bond. Or find it up top under Standalone Stories. 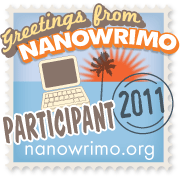 This entry was posted in Stories and tagged fantasy, fiction, novelette, novella, short stories. Bookmark the permalink.